The global automotive industry has become all too used to shocks in the past couple of years. 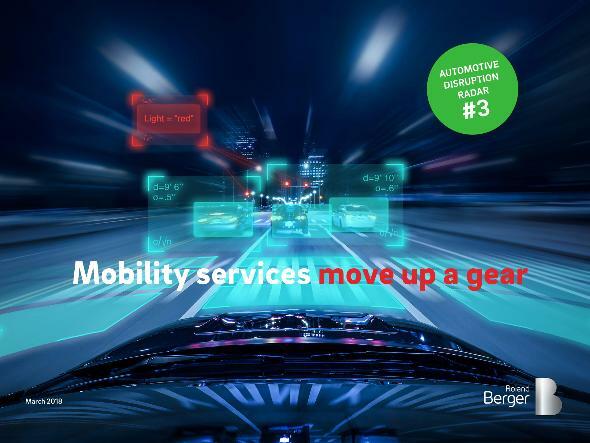 And now it needs to gear up for another one – the speed of change towards new “disruptive” mobility services such as autonomous driving and car sharing. The third edition of the Automotive Disruption Radar (ADR), our twice-yearly report on mobility trends in 13 countries from the US to Japan, shows an unprecedented shift to these new technologies, one that has surprised even industry analysts. The past six months have shown that driverless mobility is moving fast from a technological dream to actual services and solutions. In the 12 months since the first edition ADR#1 was published, customer interest in new mobility services has jumped: the number of US city center dwellers who would switch from car ownership to autonomous driving services such as robocabs if they cost less rose by a tenth to 40%, for example, while the same figure for young Chinese leapt by more than half to 25%. Across all countries and age groups, the figure remained steady at 45%. In addition, the proportion of interviewed Germans stating that they use car sharing, ride hailing or taxi services nearly doubled to 3.7%, leapt by more than a third to 6.1% in the US, and rose by a seventh in China to 18.3%. In a new question, a global majority – 55% – said they would be happy to use robocabs. Only four countries (USA, UK, Netherlands and Japan) have a majority against. The most important condition for using a robocab is the proven safety of the used technologies (55%). The main reason for not using them was the pleasure of driving (35%). On average, men would be more willing to use robocabs than women, by 58% to 52%. ADR#3’s technology-related indicators underscore the rapid growth. 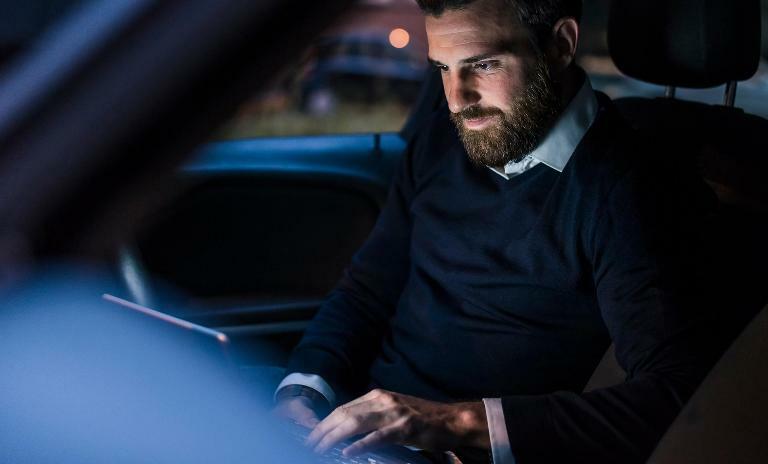 They show that the number of R&D staff as listed on LinkedIn and working in the mobility services and autonomous driving sectors increased by almost a quarter to 51,000 between 2016 and 2017. The study also reveals there has been good progress in increasing autonomous vehicle computer power. This includes the recent announcement of NVIDIA’s Drive PX Pegasus system, the world’s first artificial intelligence computer designed to operate all aspects of a self-driving car. The money to fund such technologies and mobility services continues to pour in. Venture capital in mobility received a huge boost: it went from US$9.3 billion to US$21.4 billion in the same period – a whopping 130% increase. Artificial intelligence firms also benefited, with investments jumping 107% to US$3.2 billion between 2016 and 2017. The pace of change in regulations – the key enabler of mobility services – is more modest, but still significant. For example, since ADR#2 was published in September 2017, the number of countries having completed the necessary regulatory groundwork to allow the public and commercial testing of autonomous vehicles rose to four of the 13. Meanwhile, the number of surveyed cities that introduced some form of curbs on internal combustion engines rose from 52 to 71 out of 183 over the past 12 months since ADR#1. When it comes to industry action, the past six months have shown that driverless mobility is moving fast from a technological dream to actual services and solutions. Since ADR#2, Google’s autonomous car company Waymo has announced plans to launch the world’s first driverless ride-hailing service in spring 2018, and General Motors flagged plans to introduce autonomous cars from 2019. Download the infographic here (PDF). Global figures in ADR#3 also shine a light on electric vehicle global adoption progress: from the survey, we find that 40% of people from the 13 countries are considering buying an electric vehicle as their next car and the number of EV models available has risen from 8% of the total a year ago to 10%. The main reasons for wanting to buy an EV were their suitability for short trips as well as tax advantages. In summary, mobility concepts are changing fast, with the autonomous driving juggernaut moving at full speed. Overall, Asian countries lead the ranking in ADR#3: China again finished top, closely followed by South Korea and Singapore, with the Netherlands coming next and then Sweden. However, while Asian countries are leading the way in opening their roads to self-driving vehicles, again scoring highest in ADR#3, it is expected that mature markets will host the first commercial service. The race is on. What is the Automotive Disruption Radar? The Automotive Disruption Radar is a biannual analysis of market trends related to disruption in the global automotive industry. Its findings are based among other sources on a survey of 13,000 car users in 13 countries (Belgium, China, France, Germany, India, Italy, Japan, Netherlands, Singapore, South Korea, Sweden, UK, USA). 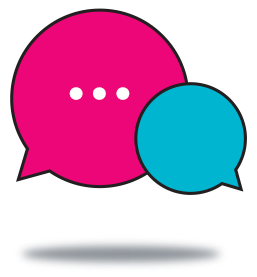 Additional information is obtained from external sources such as leading mobility experts and major industry reports. The ADR's 27 indicators are grouped into five dimensions: customer interest (Do people want autonomous vehicles and to what extent? ), regulation (What are the regulatory conditions? ), infrastructure (How developed is the infrastructure for autonomous vehicles? ), technology (How far developed is the technology for autonomous driving?) and industry activities (Which solutions have been announced or already exist?). Every country receives a score for each of the 27 indicators. This framework allows us to conduct a fact-based assessment to try to determine which nation is most likely to introduce autonomous mobility first. The ADR aims to answer key questions such as: which factors are driving change in automotive ecosystems; how do these factors evolve over time; and what can decision makers do to best manage disruption? Ultimately, the ADR is a go to decision-making tool for senior executives in the mobility sector. About 7 in 10 Belgian car users said they did not have a choice of transportation mode for more than 40% of their journeys. Belgium is one of only three countries with no public test tracks for autonomous vehicles. Electric vehicle sales in China have gone from 1.3% to 2.1% in one year, while the EV charging station network has doubled since July, making it the only ADR country with a sustained upward trend. China leads with Singapore in shared vehicles fleet, with the share having risen from 8.3% to 10.3% in the past year. Only 30% of French people are interested in buying an electric vehicle as their next car despite the country having one of the highest numbers of EV models in the ADR. More than 11 test tracks for autonomous vehicles were opened in France in the second semester of 2016. Despite high interest from customer in new mobility services (60% of people know at least one person giving up cars in favour of them), Germany still has a very limited proportion of shared vehicles, currently below 1%. Germany has just a 1.6% sales rate of electric vehicles despite having one of the highest numbers of EV models (13.3%) and rate of charging stations (3.8 per 100km) in the ADR. Despite high-profile government policies, India has a decreasing number of electric vehicle models and infrastructure. Some 65% of Indian car users use a mobility app at least once a week. Italians are among the most curious about new mobility trends, recording high numbers of web searches on the subject. However, the country offers insufficient conditions for enabling autonomous mobility business models when compared with other countries. Japan has shown an impressive increase in autonomous vehicle testing in the past year, particularly in pilots for rural areas. Despite a high level of activity in autonomous driving, Japan has shown no signs of introducing ICE restrictions. 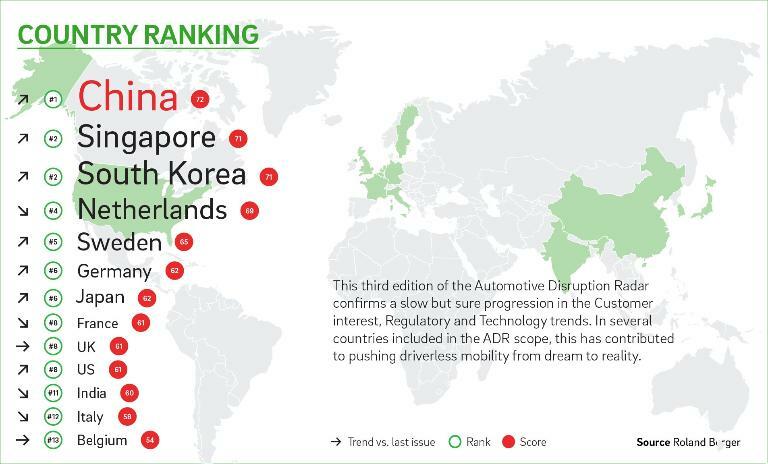 After topping the ranking in ADR#2, the Netherlands stagnated in ADR#3 and has been overtaken by several Asian countries – it is still the most advanced ADR country when it comes to autonomous driving process approval. EV sales in the Netherlands have risen to 2% of total vehicle sales even though subsidies fell. Singapore shows the highest level of buy in to new mobility services, with a car driving share of 20% of total journeys. Singapore has the highest proportion of shared vehicles, at more than 11%. While no South Korean cities planned to implement ICE restrictions six months ago, ten will do so from January 2018. South Korea is still the leading country in offering test tracks for autonomous vehicles. Sweden had the highest number of people who know at least one person who switched from private cars to a new mobility concept, at 80%. Sweden has the highest share of EV sales among the 13 ADR countries, reaching 4.7% in 2017. The UK leads the way in online car sales, with an increasing number of manufacturers offering the service. People in the UK are not convinced about electric vehicles: only 20% say they are considering buying one. Despite being home to Tesla, the US has a very limited charging network, with just 0.3 charging stations per 100km. The number of people living in US city centers who know at least one person who gave up their car for another mode of mobility is up to 50% from 35% a year. The global automotive industry needs to adapt to the speed of change towards services such as autonomous driving and car sharing.